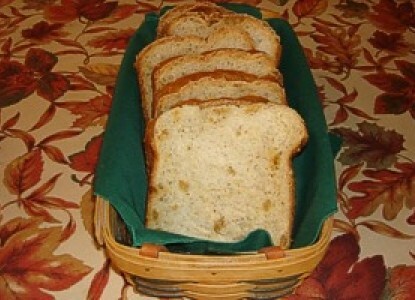 Put the items in the bread machine pan in the order listed. Set your bread machine for a 2 lb. loaf of sweet bread and bake! Note: If the dough seems dry when it starts mixing, then add a couple teaspoons of water as needed.